Villa Costeres is in a superb location, within walking distance of all the amenities, restaurants and beach at family favourite resort Calpe. Four of the five bedrooms open out onto a balcony, offering up a view of Calpe’s homes, limestone outcrops and palms ahead. 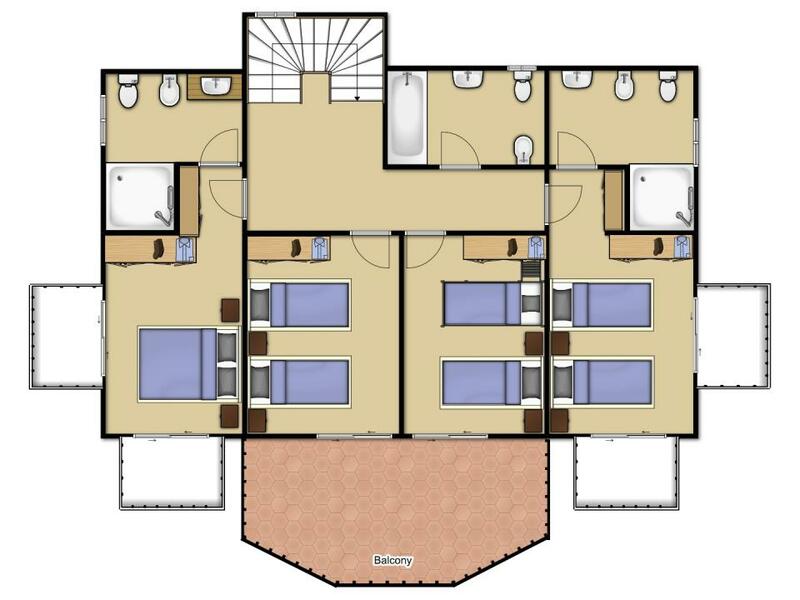 There are two double bedrooms, two twin rooms and the final room is equipped with bunk beds and an additional single. This means that the villa is capable of accommodating up to eleven guests. A white gate (107cm wide) and large sliding gate both lead to the drive of the villa. From here you can access the garden terrace and pool. The front porch has 1 step (20cm) leading to the front door (72cm wide). 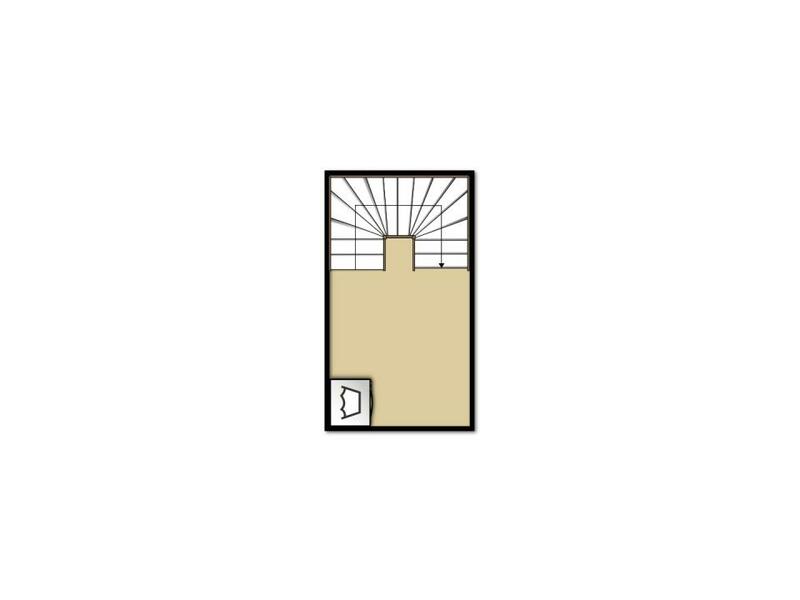 The ground floor has one double bedroom (door 68cm) a bathroom and a shower room (door 68cm wide) with a small step into the shower. The open plan kitchen and lounge includes patio doors (110cm wide) with a small step over the rim of the sliding door frame. 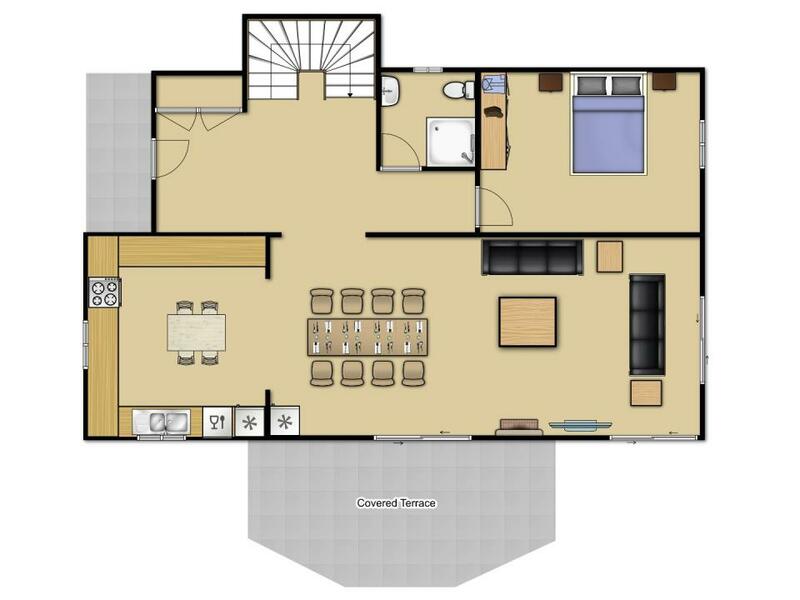 Bedrooms 2, 3, 4, and 5 are all located on the first floor and can be accessed via a flight of stairs. We hope this mobility statement assists you in making an informed decision on this villas suitability to you and your party. If you require any further information please contact our Sales Team and one of our dedicated Travel Consultants will be happy to help. Super visit and stay in Villa Costeres. Children and adults all loved the villa....Good help from the rep when we needed it too. The resort is good with some lovely eating places. We especially liked Tango on the promenade and The Capri and La Vina de Calpe restaurants for special evening meals out. Really nice view even better than in pictures and the swimming pool was fantastic, the mattress could be a little bit better. A lovely villa with really good pool. Around half a mile walk to restaurants and bars but rooms well air conditioned. Lovely spacious villa. Supermarkets all very close by. Nice and clean. Fifteen min walk to Calpe beach, cafes, restaurants etc.. it’s very quiet and peaceful. Very spacious but still cosy. The villa had everything it was advertised to have and more, it was spotless and the location was beautiful, my only fault was it is located on quite a steep hill from the town but sure the exercise did us good, calpe is a beautiful location not very commercialised which we loved, great wee cafes and pubs, would love to go back. Felt like home the moment we stepped in - lovely clean fresh smell. The location of the Villa was excellent, with a view of the Ifach. We have stayed in Calpe twice before, because we loved the beach location. The first time was 26 years ago, in an apartment in the centre of Calpe, when we had 2 teen girls. the second time was 5 years ago and we stayed in the Ifach hotel. This was our first self catering holiday with all our family, and we thoroughly enjoyed all the facilites provided at the Villa. The accomodation was adequate for 9 people, including 5 and 9 year old boys. We enjoyed our stay in the Villa Costeres 14C. The villa had a great view of the surrounding area. It was clean and smelled fresh when we arrived. Clean specious not overlooked quiet. I am not the sort of person that normally writes a review, but on this occasion i thought it was only fair. This Villa is absolutely amazing in every way. It was very clean and a lot bigger than it looks. The pool was lovely and had a bonus of a tennis court as well. I don't think i have ever had better. Thank you Solmar for a lovely holiday. 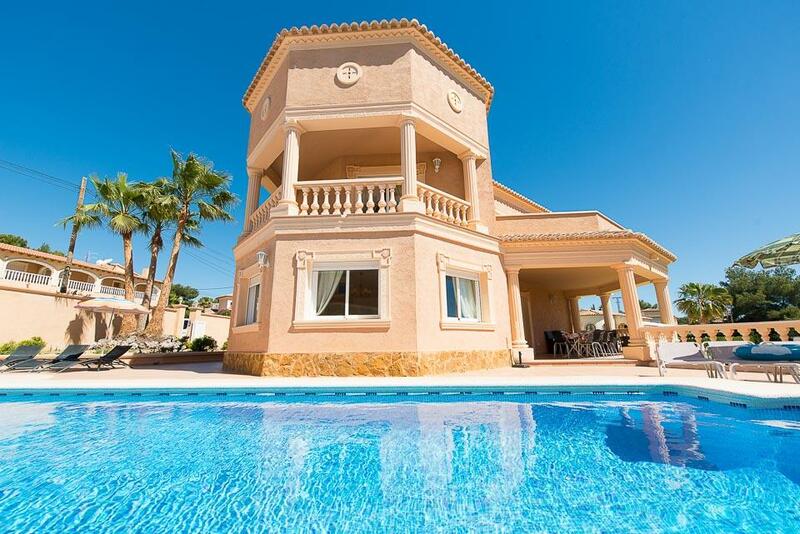 The villa is everything you would want from a holiday home. 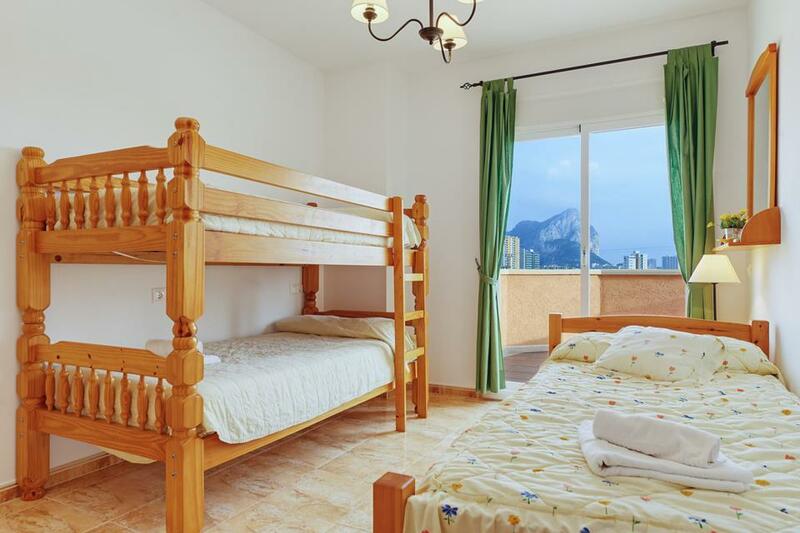 Fantastic view of Calpe, supermarkets and restaurants good walking distance and very well equipped. Pool and outside area amazing. Fabulous villa and pool really made our holiday. Beach at Calpe is nice and a few nice places to eat. Lovely Moraira is just a short drive, as is Benidorm for the parks. Highly recommend this villa and its location. Resort is very family friendly. Very good restaurants to cater for all price and taste range. 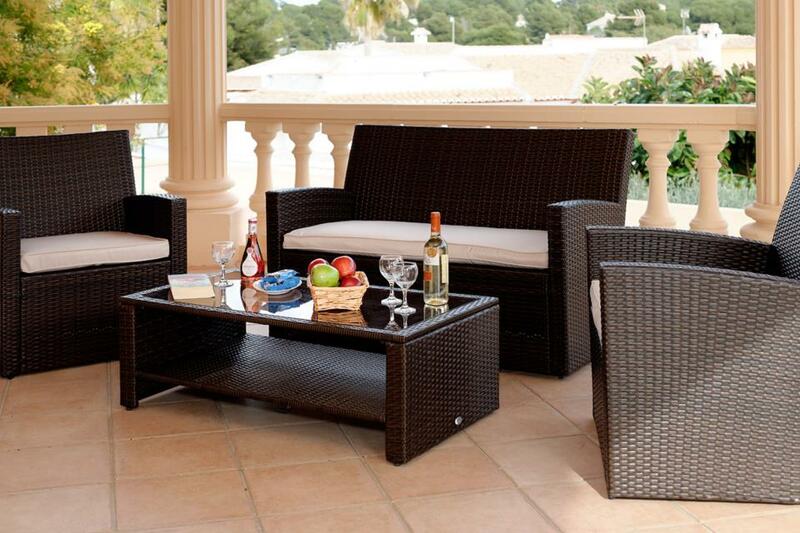 Easily accessible from Alicante Airport (40 min drive). 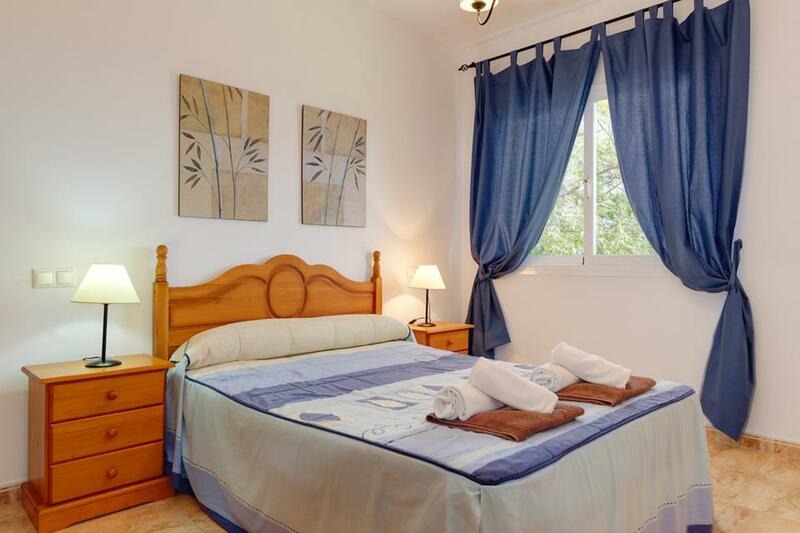 The Villa itself is well situated about a 10-15 min walk from the beach front. Rated: Good. Resort is very family friendly. Very good restaurants to cater for all price and taste range. 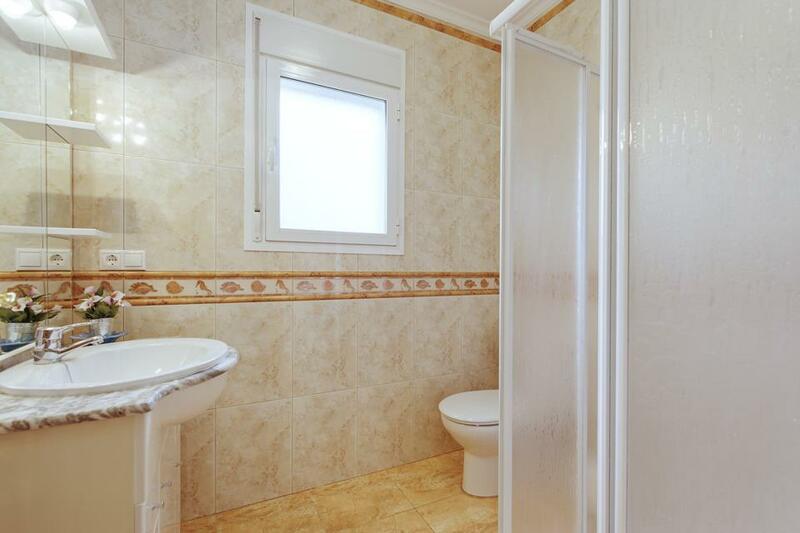 Easily accessible from Alicante Airport (40 min drive). The Villa itself is well situated about a 10-15 min walk from the beach front. Very quiet and again family friendly position. 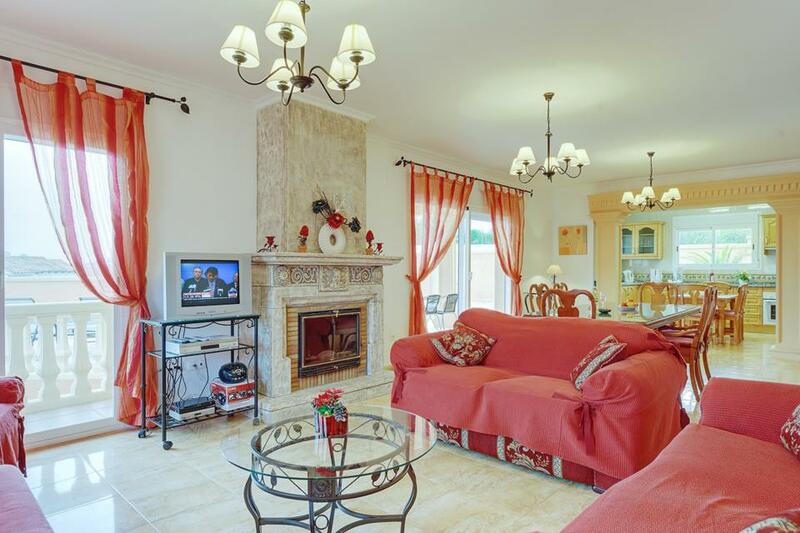 The Villa is ideal for two families comfortably. 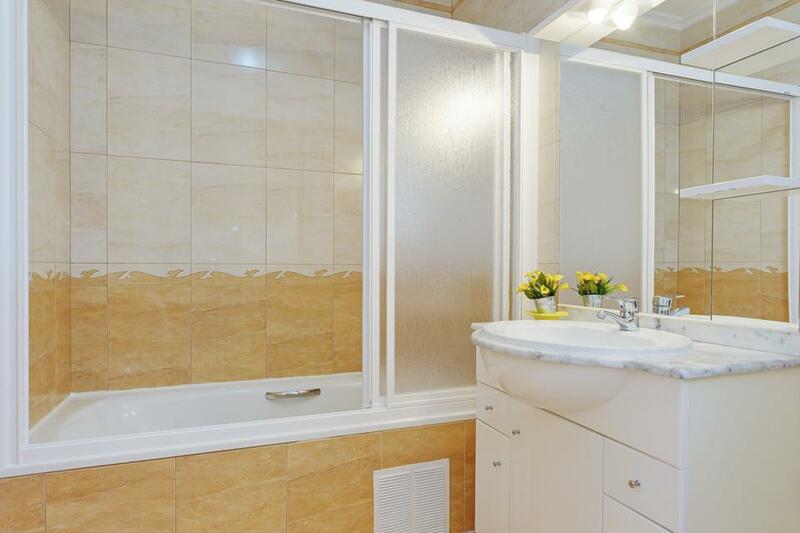 It has a great pool and all the amenities you'd expect; air con, four bathrooms, wifi. Rated: Good. The Villa was fine, in a good location and a lovely pool. Rated: Good. Beautiful clean villa, great location and close to all amenities. Fab space and pool nice and warm. The villa is lovely, great amount of space and facilities for a large group. 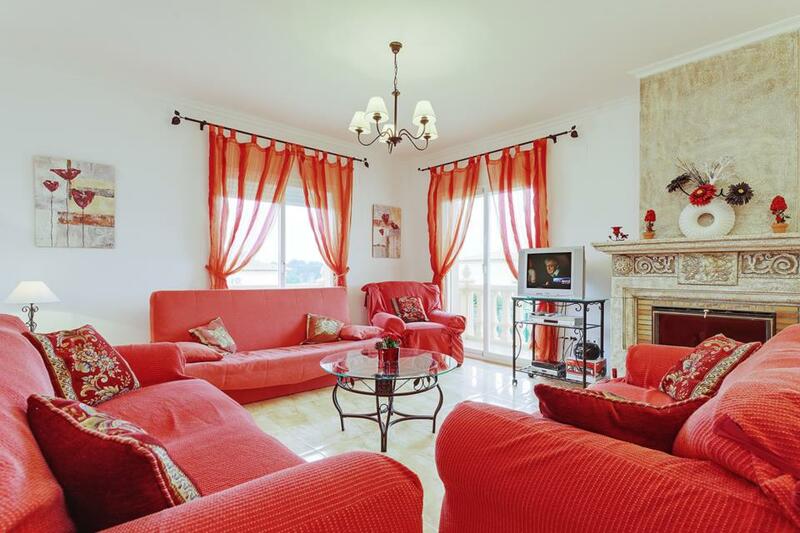 It's well located with a couple of lovely restaurants and Supermarkets in walking distance. Rated: Excellent. The villa is lovely, great amount of space and facilities for a large group. 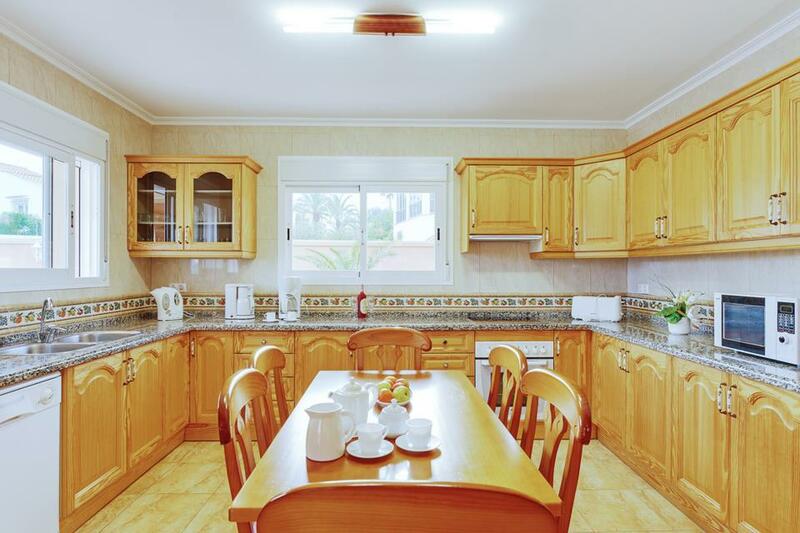 It's well located with a couple of lovely restaurants and Supermarkets in walking distance. The beaches are also close but it's not right in the center of Calpe so it's nice and peaceful to come back to after a night out. Everyone was very impressed and had a great time during our April break, if we go back to Calpe we'll definitely stay here again. I would like to express my sincere satisfaction with the villa for the duration of our stay at 14C Costeres. It was absolutely perfect for us and we had a very enjoyable holiday! We had a fabulous time at the villa and really enjoyed our stay there. We were very impressed by the quick response provided by the caretaker to any requests and whch to send him a big thank you for his efforts. The villa was marvellous and we are already planning our next year holiday in the same villa again. Once again thank you for a fabulous villa and holiday. We look forward to return next year. We have just arrived back after a wonderful week at Villa Costeres 14-C in Calpe. The villa was excellent and well equipped with everything we needed for our stay. The Solmar villa rep Trevor visited us on Sunday to make sure everything was ok and that was appreciated. The distance to the shops and beach was easily walkable but a car is maybe needed for transporting heavy items such as water etc. I would not hesitate to recommend the Villa and we're already planning our next trip to Spain. We really enjoyed our time at our villa, the pool was fantastic and all the facilities were excellent. The location was an enjoyable short walk from the shops and the sea and all of us had a great holiday. After returning from our holiday in Villa Costeres Calpe, I would like to thank your compant for an excellent holiday, for once the pictures matched up to the standard of the Villa. We would also like to thank local rep Trevor Dalton for all his help and his excellent knowledge of the area. We are thinking of booking a Villa holiday for Dec 2010, please could you let us know when info and prices are available. Just home from Calpe. Villa was excellent, everything you could possibly need or want was at hand. Great location, not far from supermarkets, beach etc, although you probably need a car, all uphill. Area very quiet, views amazing. Will probably return.